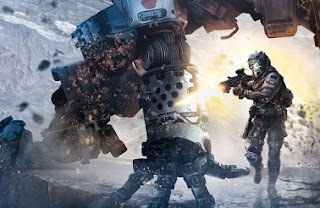 Some of the most commonly reported problems with Titanfall 2 are not too serious and can usually be handled with smaller workarounds. The lag problems are there with the PC version. Therefore, before you start the game, check the official system requirements of Titanfall 2 in order to avoid common error problems. Some PC gamers are currently unable to launch Titanfall 2. After double-clicking the application, nothing happens. However, the game is listed in Task Manager. So far, there is no official solution. Please write us your suggestions for solutions in the comments, if you discover some. You can improve the PC performance of Titanfall 2 quickly with smaller tweaks. If you are experiencing image breakouts, input lag, jerks or crashes, you can try with updating your graphics card drivers. If you are playing in window mode, go to full screen. Deactivate Vsync and reduce extended graphics effects such as antialiasing, postprocessing, bloom etc. Some players may experience problems when trying to play the full-screen game. The image is reset to window mode after a short time. Here it can help to set the resolution lower than the native resolution of your monitor. Alternatively, Titanfall 2 runs better in frameless window mode. On the Xbox, some players report that they cannot join a game with friends. They are either sent to different servers or are not in the same team. There is currently no solution for this problem, so you can only try again and again. Some players complain about the rushing back into the menu after they have finished a match. So you have to connect again and again with the server, which costs time. Also for this problem there is currently no fix. However, restart can help. Error message 408 and "Contacting Respawn Servers"
On the PC you can encounter these messages, if you want to connect with the multiplayer servers. It is not possible for you to join. There is an easy solution to fix this problem. You should simply not have too many network adapters running at the same time (LAN, WLAN, tunneling software, etc.). So disable all unnecessary connections except for your Internet connection and you should come to the servers. Lags are currently the most common problems in Titanfall 2. Since the game has appeared new, the servers don’t stand up to the player attack partially. Here you can only wait and hope that the developers will optimize the server structure soon and eradicate lags. This error message is related to drivers for DirectX. Make sure you download and install the latest drivers for DirectX. For some players Titanfall 2 crashes after a few minutes with the following error message. WerFault.exe - Application Error: The instruction at 0x00007FFBE0A30505DC referenced memory at 0×0000000000000030. The memory could not be written. GamePanel.Exe Application Error: The instruction at 0x00007FFC379DE643 referenced memory at 0x00000001FFFFFFFE. The memory could not be read. This error message always appears when your Titanfall 2 runs in the highest settings. Reduce the graphics quality to "Very High" and you should have no problems. For owners of Nvidia graphics cards and Vsync enabled, a 30 FPS lock may occur. For full image rates, you should turn off Vsync in the Nvidia Control Panel.